2	 OCEAN'S TWELVE -EV	 9GO! 1	 THE BIG BANG THEORY -EV TX1	 9GO! 4	 OCEAN'S TWELVE -EV	 9GO! Married at First Sight continues to grow. Clever adjustment to the episode scheduling with the first dinner party scoring similar numbers to last year. New Amsterdam not benefiting, though, big drop from last Wednesday benefiting Rosehaven that improved. Unbelievably bad number for Today that is so low I will check if there is an error. Wonderful achievement for Sunrise. Before long it will be 20 years of ratings dominance at breakfast. A real credit to the team there. MKR’s ratings flips and flops. Seven won’t be pleased. MAFS still going off like a rocket, but New Amsterdam dropping quickly and will be flop territory if it keeps dropping at its current rate. I’m finding Celebrity to really drag on now. I know it’s shorter than usual but it still feels too long. Should’ve wrapped up last week. What do you mean? It’s been pretty consistent to me. There were a few days when the program would fall from 800K to below 800K, and then go back up to 800K, hence the statement. They were very close variations. Sunrise ranked 21st and was +120,000 ahead of Today. The Today number (if it holds up as correct) is disastrous. Today Extra was also well down only 20,000 ahead of Studio 10. Get Krack!n was just 23rd in a poor night for ABC. The Drum lost ground and was beaten by Pointless. Gogglebox 139,000 was down on the 150,000 for this episode last year. Nine made one of the biggest blunders in Australian television history in letting Lisa Wilkinson walk out the door. So what roughly 20-30k drops and 20-30k inflations? I think Married went from 900k last week to 1.2 mill this week. They are probably bigger flips and flops. Yet they still refuse to admit they were wrong. Goes to show how much they’ve bent backwards for Karl (who IMO, isn’t worth as much of a salary as he was getting). Thankfully, they’ve finally gotten rid of the cancer and its associated tumours. Except they aren’t in remission. The disease is more acute and the body that is Today is closer to death. The disease is more acute and the body that is Today is closer to death. More like the cancer’s removed but the patient’s suffering terminal illness as a result of the cancer, but we’re moving off topic. Looks like it is the lowest season premiere on pay TV in the show’s history. Previous low was season 2 in September 2015 (145,000). The departures of Angie and Yvie, and Wayne and Tom, might have some effect. 120,000 ahead of Today. That is an incredible result. Well done Sunrise. As for Today Extra, that is quite possibly one of the worst programs on TV…I would love to see Studio 10 overtake it. Sunrise hit the 300k mark. These days, anywhere around 290 000 is a milestone metro at breakfast. A testment to the team. Certainly. It just proves to Hugh Marks that Lisa IS worth more than Karl. 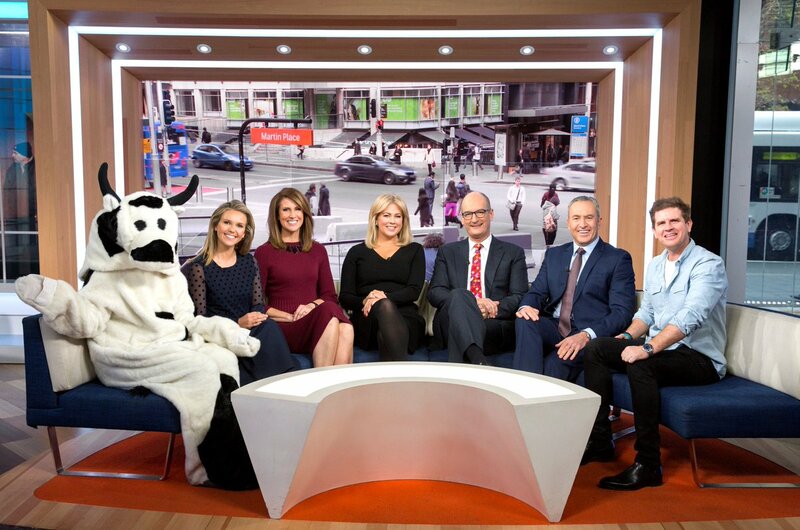 As for Today Extra, that is quite possibly one of the worst programs on TV…I would love to see Studio 10 overtake it. To be fair, TDX has had a weak lead-in for a few years now.A lead-in that TMS thrives on.